The UTT Projects and Infrastructure Development Plc (UTT-PID) is a company, fully owned by the Government of the United Republic of Tanzania under the Ministry of Finance and Planning. 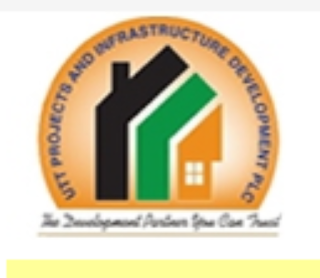 The core functions of UTT-PID is to render multi-dimensional services in the functional areas of Project Management, Infrastructure Development, Property Management, Project Financing/ Funds Arrangement, and other associated services. He/she shall haves minimum of 3 years experience in similar field and must possess Diploma or Full Technician Certificate (FTC) in Electrical/ Mechanical Er 'leering or an equivalent qualification from approved government education institutions. Building Care Taker shall oversee day to day operations of corrective and preventive maintenance and any emergency in the field of electrical, heat ventilation and Air-condition (HVAC) systems, Abs. shall manage and supervise Air conditioning works, Mechanical and other installations. xiii) To perform any other duties as may be assigned by the immediate Supervisor. Remuneration package in accordance with the position salary scale will be offered to the right candidate. He/she shall have a minimum of 3 years experience in similar field and must possess a form IV Secondary Education Certificate (CSEE) and VETA or any approved government education institutions Plumbing Certificate of Trade Test Certificate Grade II or I. Plumbing Technician shall perform day to day plumbing maintenance activities and other related operations in the building. xii) To perform any other duties as may be assigned by supervisor.